I've mentioned before that various family members have stated that we were related to Simon Mitchneck, a famous Hollywood voice coach. I've written about finding letters from Simon's sister enclosed in Simon's passport applications that spoke about the family's desperate situation in the aftermath of World War I. Records of Simon and his three brothers (who emigrated to America) consistently named their father as Shia and their mother as Leah/Lea Goldberg/Goldenberg. I do know that they do have some sort of connection to the Halper family (which also may be my great-great grandmother's maiden name). And back in December, I wrote about how Simon Mitcheck's great nephew contacted me after seeing his family discussed on the blog--and how the DNA that the great nephew shared with known descendants of Hillel and Hinda Diamond demonstrated that the family stories of a relationship were correct. Megillah & Friday Night Dinner at RootsTech! If you're Jewish and will be at RootsTech in just over a week, please come to Megillah readings! RootsTech has been gracious enough to let us use a room in the Salt Palace Convention Center for Megillah! In addition, we will be getting together for a (kosher) Friday night dinner--RSVP requested. Thank you to everyone who has contributed data about shared DNA in people with Ashkenazic ancestry! I have 4000 data points to analyze, and that should help the entire genetic genealogy community (I'm still collecting data--you can find out more about the project and how to contribute here). So far I've been going through and finding anomalies in the data and contacting those submitters (if they left email addresses) to clarify some things. I'm going to do some deeper statistical analysis once I get the data cleaned up, but meanwhile, here is a high-level look at the data so far. This data contains entries regardless of the percentage of Ashkenazi DNA (later posts will break down shared DNA based on how much Ashkenazi ancestry the testers have). This is using very rough data, but I wanted to get some initial information out there to hopefully help inform people while I work on cleaning the data and then analyzing results. 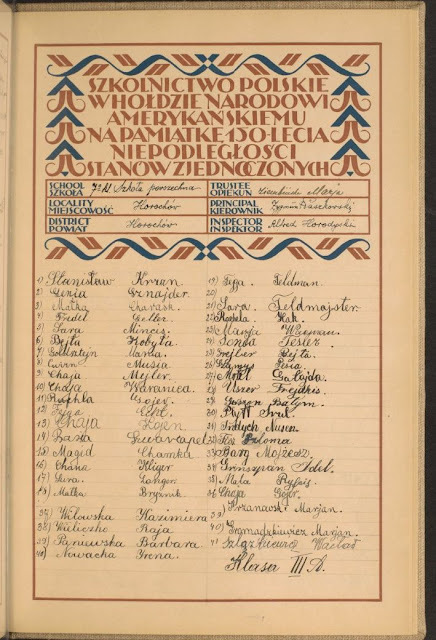 Anyone who had family in what was Poland of 1926 (which includes parts of modern-day Ukraine and Lithuania, as well as much of modern-day Poland and parts of what used to be Russian Empire, Galicia, Czechoslovakia and East Prussia among others) needs to be aware of an incredible resource hosted by the Library of Congress. 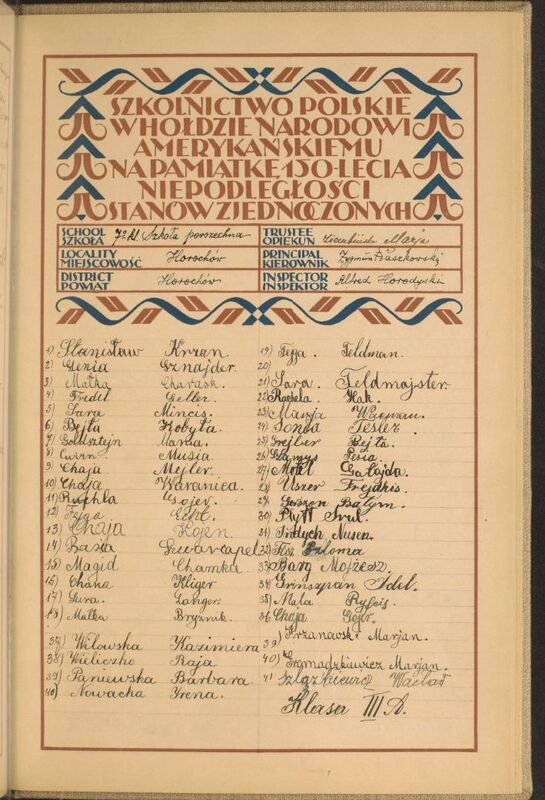 In 1926, in honor of America's 150th anniversary of independence, Polish schoolchildren wrote their signatures in "admiration and friendship for the United States." Children of all religions participated--Jewish names are interspersed with Ukrainian, Polish, and Czech children's names.